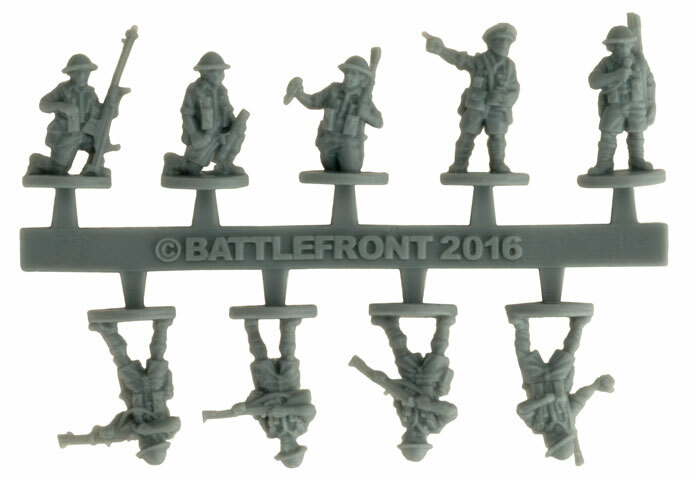 Over the years we have produced infantry figures in various materials, each of which has it’s own strengths and weaknesses. The new figures are made of a flexible ABS plastic, and combine most of the good points of the other materials. Like with hard plastic, the casting process involves injecting the plastic into a rigid mould. The moulds themselves are not machined in the same way, but cast - it’s faster and cheaper. Unlike the hard plastic, the material itself is slightly flexible after it cures, so small undercuts are possible - not as much as with metal or resin in a soft mould, but more than with hard plastic. The tough new plastic is almost unbreakable – you could drop a rulebook on them and they will bounce straight back. Like all figures, there will sometimes be a small raised line where the two halves of the mould fit together. 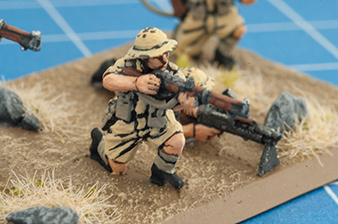 To make the models look their best before painting, you will want to clean these off. The easiest way is to carefully trim off any visible mould lines using a sharp hobby knife. For advanced modellers who like doing conversions, head swaps etc, you can slice, drill or otherwise cut up the flexible plastic just as you would with hard plastic. The flexible plastic can sometimes be bent in the packaging — gun barrels and other thin parts are prone to this. If any of your models have bent parts, you can dip them in hot water for a few seconds to straighten them out. The parts have a ‘memory’, and will usually instantly spring back to straight as soon as they contact the water. If not, just heat the part gently in the water, then straighten it out with your fingers for a few seconds while it cools. We recommended using superglue (aka cyanoacrylate) to flexible plastic figures. Plastic cement, which works by chemically softening the hard polystyrene plastic, will not work (the new figures are an ABS plastic, which does not react chemically with the plastic cement). 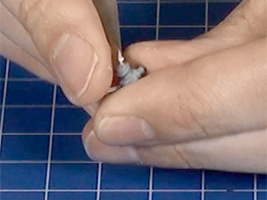 Superglue gives a strong bond with the flexible plastic, whether you are gluing the figures to their base, doing minor conversions, or attaching parts to other materials (eg. glue crew figures into vehicles, whether they are hard plastic, resin or metal). 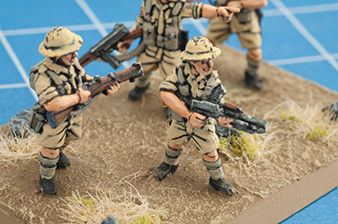 When it comes to painting, there is no real difference from older figures. Unlike older bendy polyethylene plastic figures which some gamers remember, which was awful to work with—the paint would crack and flake off the slick surface—the ABS plastic holds paint very well, and is very resistant to scratching and chipping. 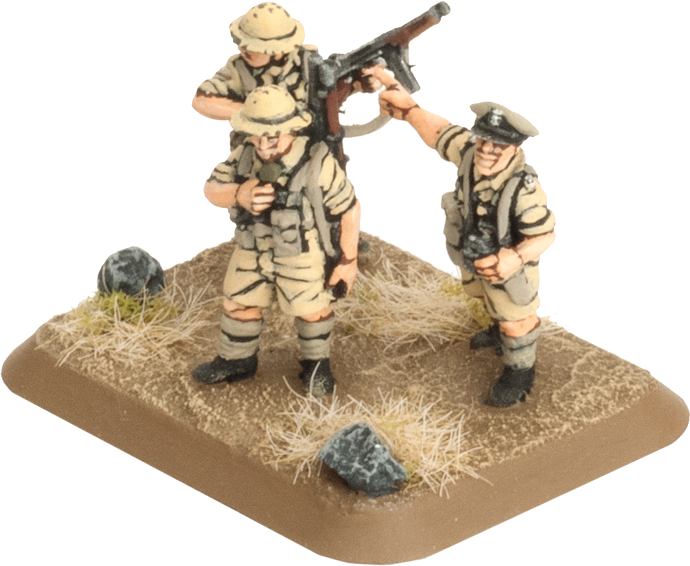 We still recommend using a primer—whatever acrylic primer and paint you normally use - whether that’s Colours of War or any other brand - you should have no problems. 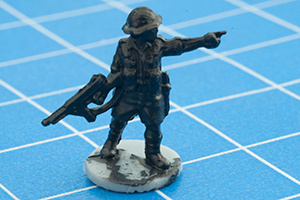 Right: We recommend using a good primer, but this figure was simply brush-painted with Colours Of War Black, and the resulting surface is tough, durable and suitable for painting over.